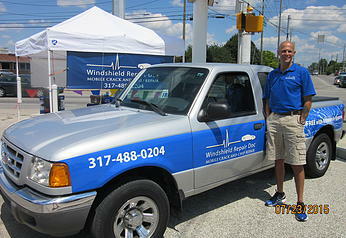 Windshield Repair Doc of Indianapolis fixes chips and small cracks in your windshield before you need a replacement. We are proud to provide the best service and the best repairs at the best price. We are are a family owned and operated business in Indianapolis, Indiana. We specialize in top quality and professional windshield repairs. My name’s Rob Grigsby and I’m the guy behind Windshield Repair Doc. 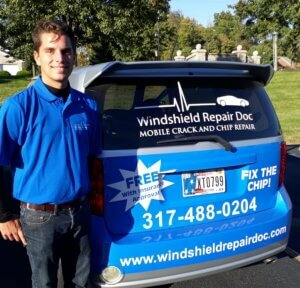 I’m dedicated to providing the highest quality windshield repair Indianapolis offers. I use only the best products and equipment to ensure that you get the best windshield repair possible. As a family owned and operated business, when you call Windshield Repair Doc, you’ll be given one on one attention. No transferring your call to an operator or dealing with a snippy receptionist. My wife and I are happy to call Indiana our home. We share a passion for travelling and have been to 32 countries together…so far. I’ve also served in the US Marine Corps. I’m proud of our country’s flag and very proud to be an American. Josiah Moore has superior knowledge, skills and expertise in the field of windshield repair and we are honored to have him on our team. Josiah is from Indianapolis and graduated from Patrick Henry College with a degree in Political Science. Luke Robbins is from Franklin, Indiana and is newly married. Both Luke and his wife were home schooled and Luke attended Ivy Tech Community College. 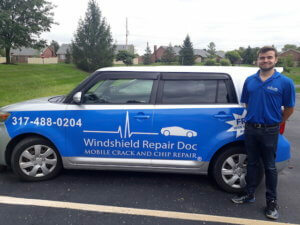 In addition to his superior skills in windshield repair, he has also received top ratings for excellent customer service and his strong work ethic. Brooke Wine is from Fairmount, Indiana and a Purdue graduate with a degree in Entomology and Forensics. 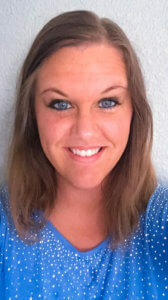 We are both excited and proud to have Brooke on our team as our office manager and dispatcher and she excels in superior customer service and office management skills. What’s one interesting thing about you? “I received the Golden Ticket on American Idol and made it through the first round. Call us at 317-488-0204 or contact us here to schedule your windshield repair today!